Paws'n'Learn Training is a Hinckley based Dog and Puppy Training Service which was established in 1990. It was born from a desire to reduce the number of dogs who live restricted lives, end up in Rescue Kennels or are put to sleep because they behave inappropriately. There is a special magic experienced as a family welcomes a new puppy or dog into their home. Our aim is to help families to keep that magic alive. a breakdown of communication, either between dogs or between a dog and it's family. No choke chains, pinch collars, electronic collars and high pitched alarms or other punative equipment are used in 1-2-1 sessions or group workshops. PAWS'N'LEARN offers support and advice inbetween classes to ensure that the individual needs of each family and dog can be met. 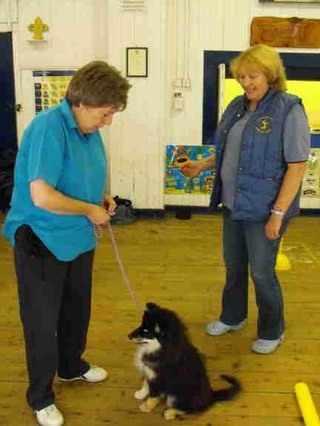 Kind, motivational, Tellington TTouch and Clicker Training methods are used in a relaxed, happy atmosphere.